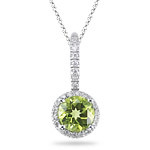 0.26 Cts Diamond & 2.70 Cts Peridot Earrings in 14K White Gold . 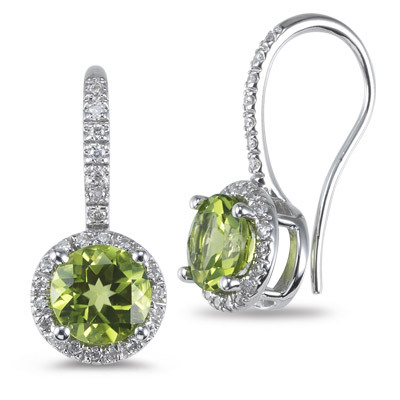 These imperial Peridot and Diamond Earrings display a round peridot and twenty five diamonds each in 14K White Gold. 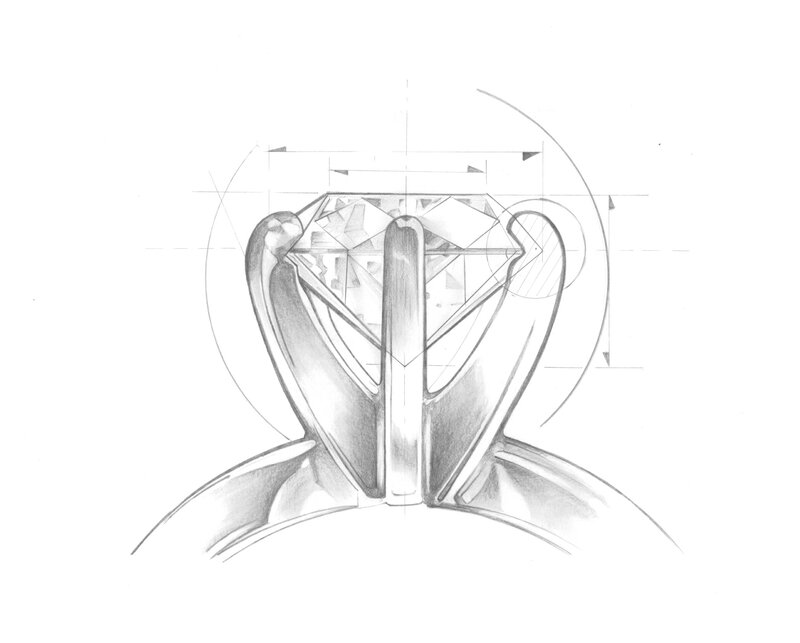 Approximate Diamond Weight: 0.26 Carats. 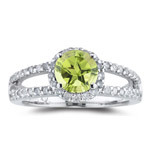 Approximate Gemstone Weight: 2.70 Carats. A delicate pair of earrings to adorn yourself.